Offering an impressive collection of wedding ceremony and reception locations, Spruce Mountain expresses true Colorado style. Magnificent hand-crafted detail, state of the art modern conveniences and indoor/outdoor options create memories to last a lifetime. 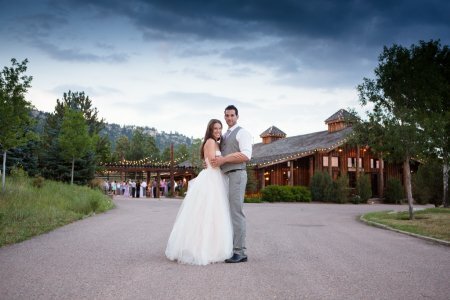 Our unique wedding venue, peacefully located in the scenic foothills of Colorado, is only 30 minutes south from Denver or 30 minutes north from Colorado Springs. Arrange a visit today. Ceremony Only Packages Now Available! $1,800.00 Friday, Saturday, or Sunday. The "ceremony only" package includes 2 hours of property use. The 2 hours allows for set-up, photos, ceremony, and clean up. Your fee also includes parking, a Spruce Mountain Property Manager, and chairs for up to 100 guests. 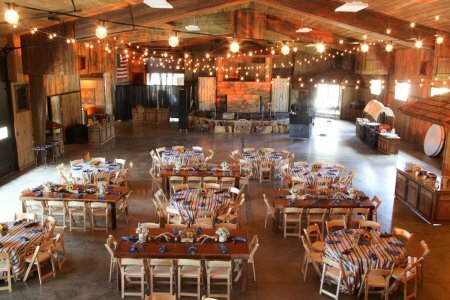 For the occasion that your event would be better served by use of our entire event property, Spruce Mountain can be rented as an all inclusive venue. You will be able to enjoy every one of our spaces, amenities, and services with ease of pricing and planning. Contact us for more details.